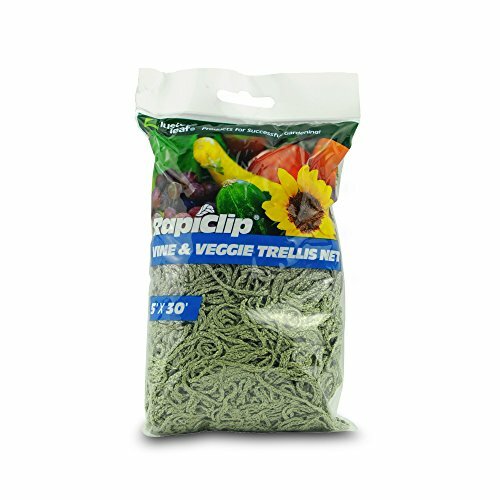 The Vine and Veggie Trellis from rapiclip is a soft material ideal for use with climbing plants of any kind. It’s unique, green color allows it to blend in with it’s surroundings. 5.25” squares allow for easy harvesting. It also has tie offs along both sides for easy tying onto stakes or supports. Available in 5’x10’, 5’x30’ and 5’x60’.